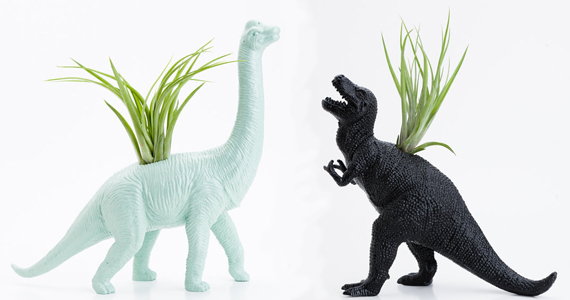 As soon as I saw these dinosaur planters I fell in love! 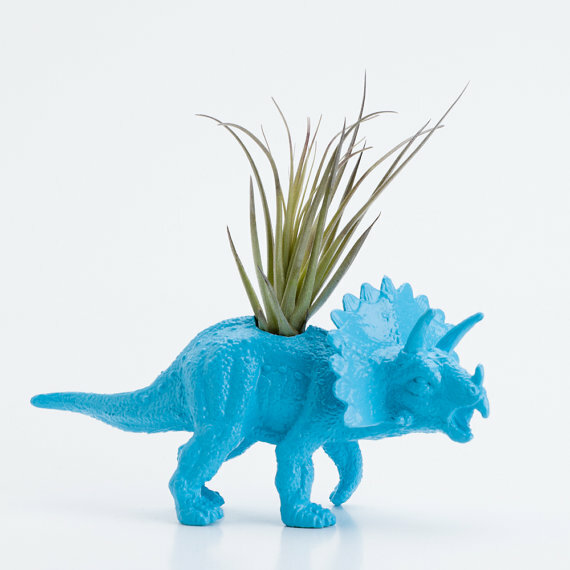 These re-purposed toys have been primed, painted with 5 coats of paint and sealed making them the perfect planter for a Tillandsia Air Plant. 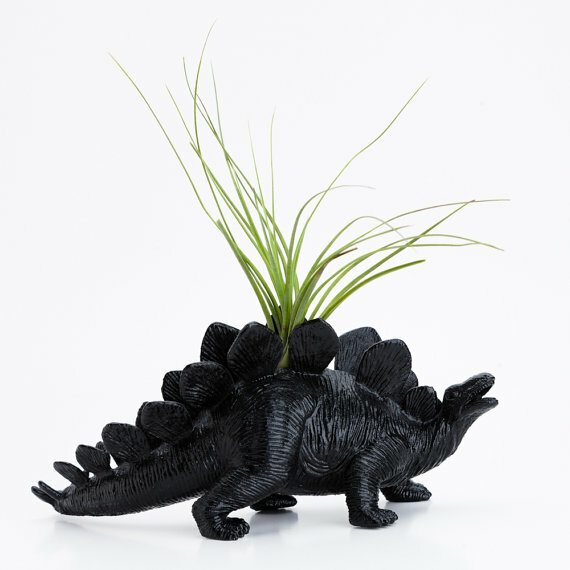 Tillandsia Air Plants don’t require soil but they do require light and to be watered twice a week. 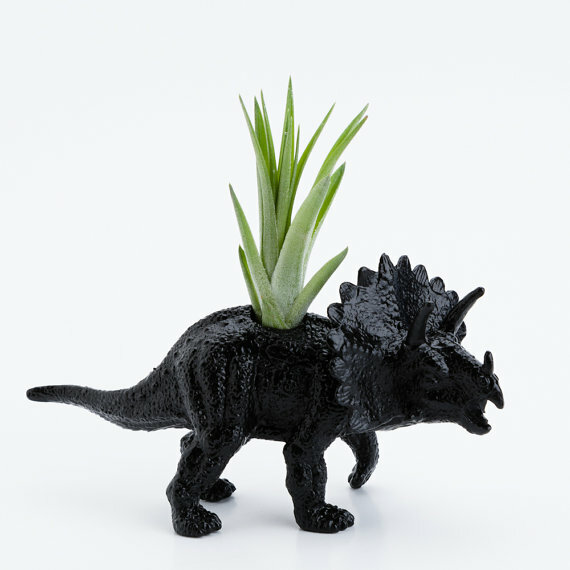 If you know someone that loves dinosaurs and can keep a low maintenance plant alive – look no further! 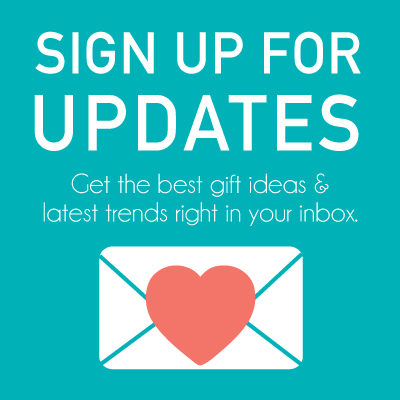 You will not find a better gift than these amazing planters. 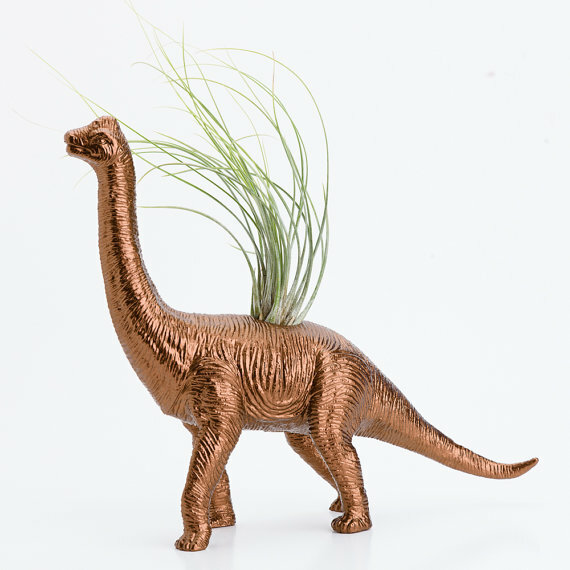 I found several cool dinosaur planters in the BoyGirl Etsy Shop with metallic colors. 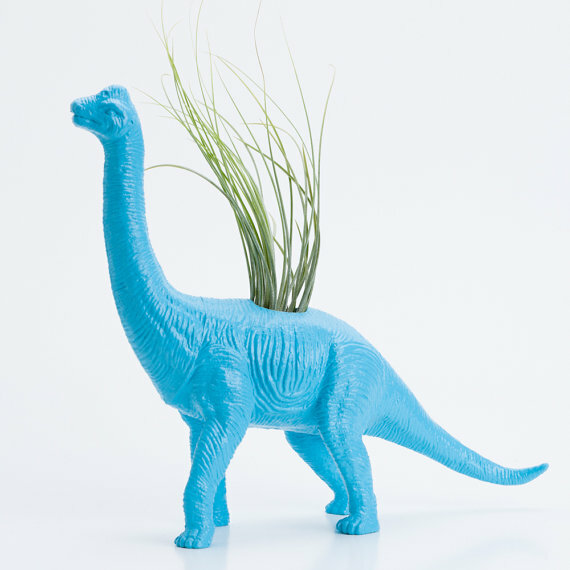 However, if you search dinosaur planter in Etsy you’ll find several other stores that carry them.